The Kodiaq is the alpha male in Skoda’s range. 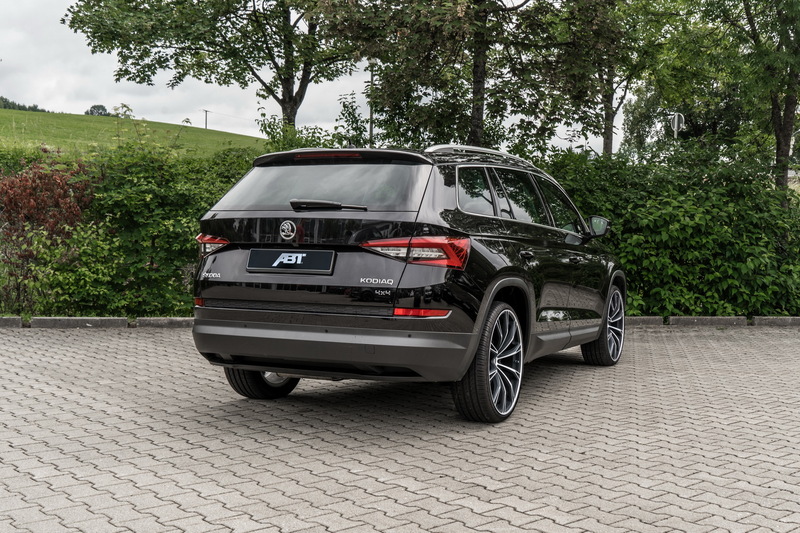 It sits on top of their SUV family and shares its nuts and bolts with the Volkswagen Tiguan. Clients looking for a punchier version of the Czech SUV currently have to make do with either a 2.0-liter TSI engine that generates 180PS (177hp / 132kW), or a 2.0-liter TDI diesel, rated at 190PS (187hp / 140kW). Skoda has an RS (vRS in UK) derivative in the pipeline, but it’s still a couple of months away from being launched. It recently broke the Nurburgring lap record for the fastest 7-seat SUV with Sabine Schmitz driving it, and will go official at the 2018 Paris Auto Show this fall. 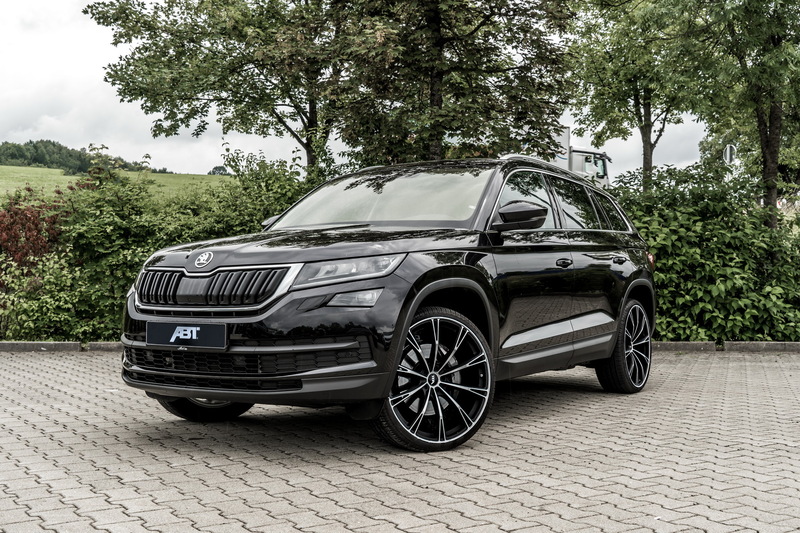 Meanwhile, owners of the Kodiaq in search of a bit more power can head to ABT Sportsline. The tuner has come up with new engine control units (ECUs), developed in-house, and aimed at models powered by the 2.0 TSI or 2.0 TDI engines. For the 2.0-liter petrol unit, ABT says their upgrade lifts the output to 216PS (213hp / 159kW) and 360Nm (266lb-ft) of torque. Diesel fans get as much as 215PS (212hp / 158kW) and 440Nm (325lb-ft) of torque in the punchiest form, and the tuner has also taken care of the 150PS (148hp / 110kW) version of the oil burner, which now churns out 180PS (177hp /132kW) and 380Nm (280lb-ft) of torque. A set of new wheels completes the package, with ABT offering four distinct patterns, from 18 to 21 inches in size and available in different finishes and fitted with new tires.